Professor Yong received the B.S. degree in civil engineering(1979) from Lafayette College, Pennsylvannia, U.S.A., the M.A. (1981) and Ph.D.(1984) degrees in structures/mechanics from Princeton University, New Jersey, U.S.A. He is a registered Professional Engineer in New Jersey. He serves as an associate editor for the journal IEEE Transactions on Ultrasonics, Ferroelectrics, and Frequency Control. He is a member of the IEEE society. 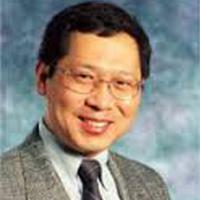 At the IEEE Society, he serves as the chair of Technical Program Committee for the IEEE Ultrasonics Symposium 2011, and as a member of the Technical Program Committee for the IEEE Ultrasonics Symposia, and IEEE Frequency Control Symposia in the years 1989 to present. He has served as a University Senator, and a member of the New Brunswick Faculty Council. "SH-SAW propagation in layered functionally graded piezoelectric material structures loaded with viscous liquid", Jianke Du, Kai Xian, Yook-Kong Yong, and Ji Wang, Acta Mechanica, 04/2012, Vol. 212, No.3, pp. 217-281. "A New Nonlinear Coupling of the Fundamental and its Harmonic Overtone Thickness Shear Modes for Improvement of Resonator Q", Yook-Kong Yong, Proceedings of the 2012 IEEE Ultrasonics Symposium, Dresden, Germany, 2012. "Nonlinearities for Parametric Pumping of Quartz UHF Oscillators", R.L. Kubena, Y-K Yong, D.J. Kirby and R.J. Joyce, Proceedings of the 2011 IEEE International Frequency Control Symposium, San Francisco, California, 2011. "Effects of electromagnetic radiation on the Q of quartz resonators", Yook-Kong Yong, Mihir Patel, John Vig, and Arthur Ballato, IEEE Transactions on Ultrasonics, Ferroelectrics, and Frequency Control, Vol. 56, No. 2, 2009, pp. 353-360. "Conceptual Design of a High-Q, 3.4 GHz Thin Film Quartz Resonator", Mihir Patel and Yook-Kong Yong, IEEE Transactions on Ultrasonics, Ferroelectrics, and Frequency Control, Vol. 56, No. 5, 2009, pp. 912-920. "Drive Level Dependency in Quartz Resonators", Mihir Patel, Yook-Kong Yong and Masako Tanaka, International Journal of Solids and Structures, Volume 46, Issue 9, 2009, pp. 1856-1871. "Eigen-frequency and Frequency response Calculation of Piezoelectric Resonator Parameters", Yook-Kong Yong, Frank Fang, Shih Chuang, Proceedings of the 2009 IEEE Ultrasonics Symposium, Rome, Italy, 2009. "The Nonlinear Finite Element Analysis of Quartz Crystal Resonators", Ji Wang, Leping Chen, Jianke Du, Yook-Kong Yong and Lihong Wang, Proceedings of the 2009 IEEE Ultrasonics Symposium, Rome, Italy, 2009. "Effects of electrode inertia on vibration of piezoelectric plate with dissipation" Jianke Du, Xin Yin, Yook-Kong Yong, Kai Xian, and Ji Wang, Proceedings of the 2009 IEEE International Frequency Control Symposium, Besancon, France, 2009. "An analysis of vibrations of quartz crystal plates with nonlinear Mindlin plate equations", Ji Wang, Rongxing Wu, Yook-Kong Yong, Jianke Du, Dejin Huang, Proceedings of the 2009 IEEE International Frequency Control Symposium, Besancon, France, 2009. "Love waves in functionally graded piezoelectric material structures loaded with viscuous liquid", Jianke Du, Kai Xian, Yook-Kong Yong, and Ji Wang, Proceedings of the 2009 IEEE International Frequency Control Symposium, Besancon, France, 2009. “Propagation of Love waves in prestressed piezoelectric layered structures loaded with viscous liquid", Jianke Du, Kai Xian, Ji Wang and Yook-Kong Yong:, Acta Mechanica Solida Sinica, Vol. 21, No. 6, December, 2008. "Dedicated Finite Elements for Electrode Thin Films on Quartz Resonators", Sonal A Srivastava, Yook-Kong Yong, Masako Tanaka, and Tsutomu Imai, IEEE Transactions on Ultrasonics, Ferroelectrics, and Frequency Control, Vol. 55, No. 8, August 2008, pp. 1686-1697. “A Finite Element Analysis of Frequency-Temperature Relations of AT-cut Quartz Crystal Resonators with Higher-Order Mindlin Plate Theory”, J. Wang, J-D Yu, Y-K Yong and T. Imai, Acta Mechanica, ISSN: 0001-5970, Vol: 199, Issue: 1-4, Date: 2008-8, pp. 117-130.